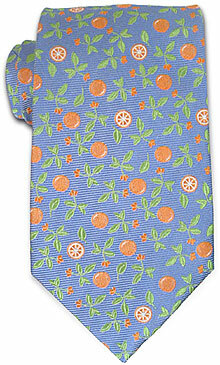 An absolutely gorgeous woven silk featuring an orange grove. The name comes from that cute but lame banana/orange knock-knock joke. 100% woven silk. Handmade.